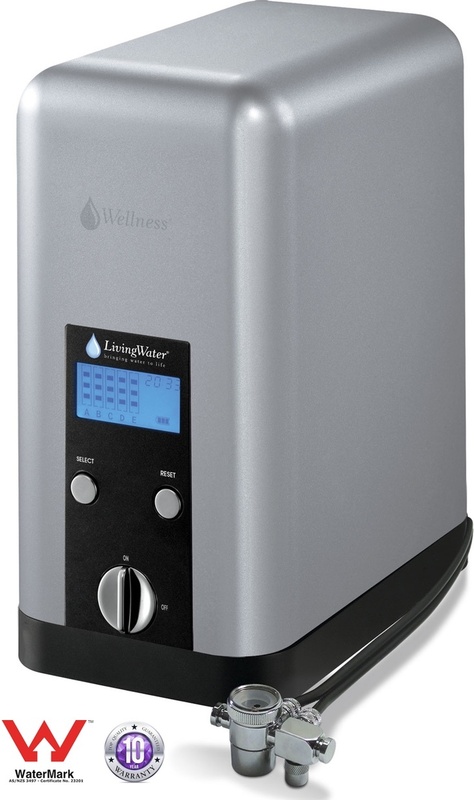 Why choose The Wellness Filter? 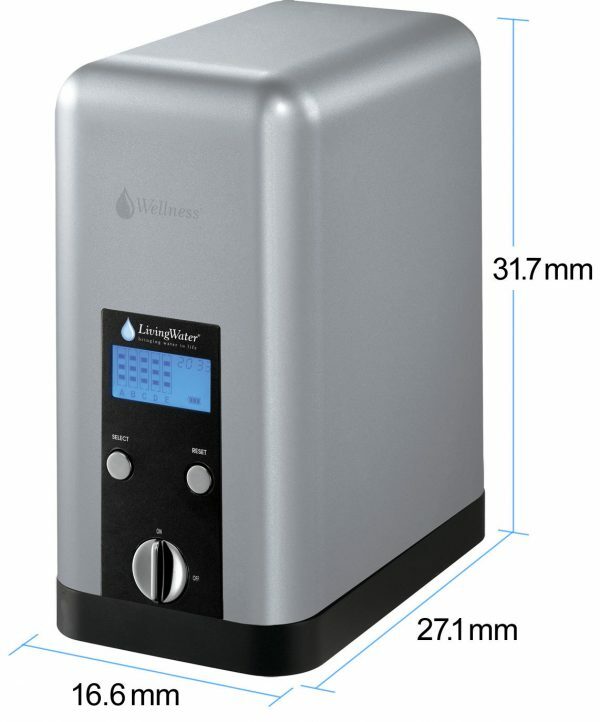 Over twenty years of experience in the science of water energisation has gone into producing the Series 5, our most popular drinking water filter ever. The Series 5 is an ideal choice if you are seeking to replace or upgrade an existing filter and with new types of filtration media it means the Series 5 offers better filtration performance and even higher water quality than previous models. 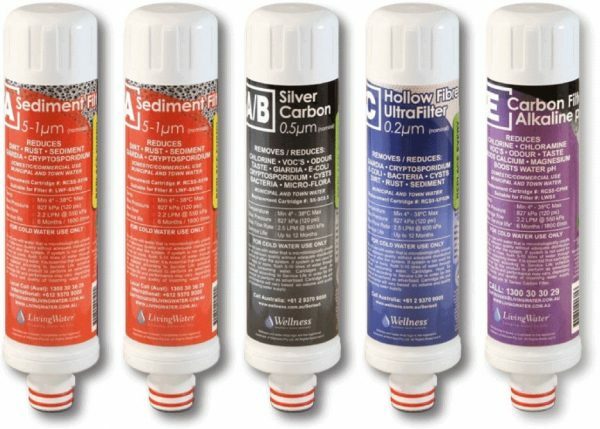 Because everyone’s filtration needs are unique to their circumstances the Series 5 has a range of cartridge packs available to enable you to focus on the contaminants and water quality you want. 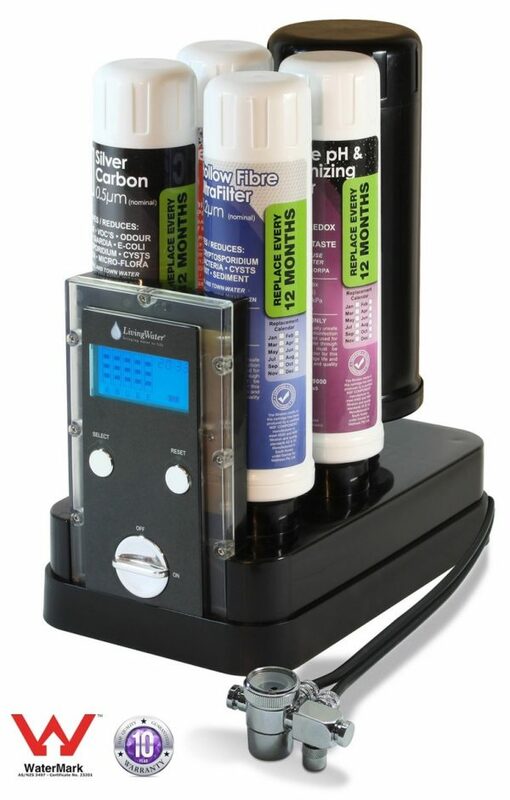 Choose from cartridges that retain or remove fluoride or produce water with a neutral balanced pH or a high alkaline pH. And, when combined our unique volcanic mineral cartridge recreating nature’s own mountain spring process you will experience the finest quality, healthiest drinking water available. 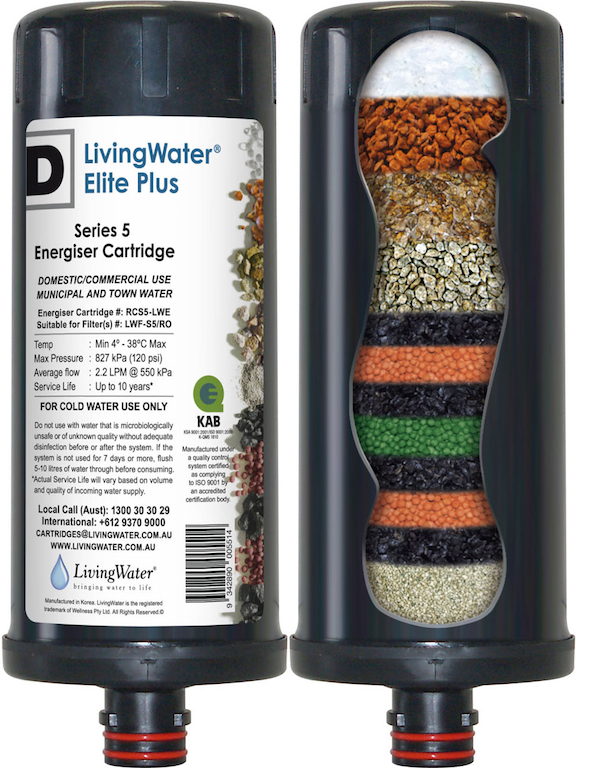 The Series 5 Elite uses a low-pressure volcanic booster and can only be installed above counter. The Standard Wellness Series 5 will compliment any kitchen decor with its high quality design & construction. It can be attached to most faucets via a newly improved diverter valve assembly with low profile hosing. A battery operated digital meter monitors water usage and elapsed time. An audible alarm sounds when its time for service. 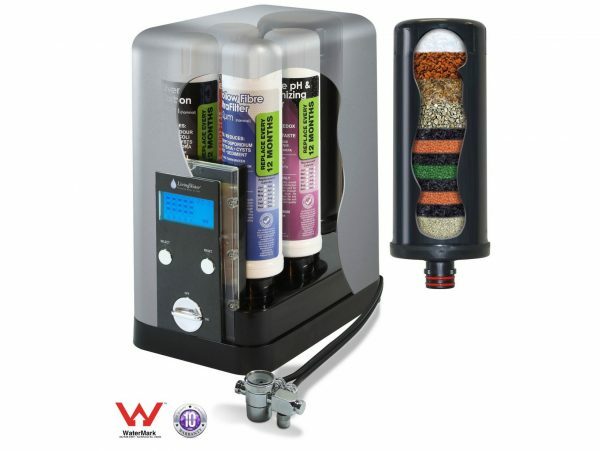 Replacing cartridges in a water filter has never been easier. No tools, plumbers or service technicians required. Simply twist, pull and replace. No mess. No fuss. 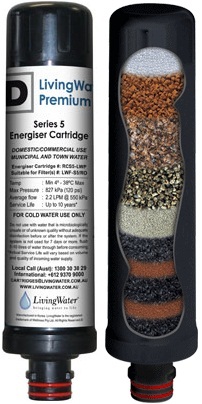 The Series 5 incorporates our unique and exclusive volcanic mineral water cartridge designed to bring you water that goes well beyond filtered. Hoses have been impregnated with bio-safe silver to maintain a healthy environment and prevent bio-film. 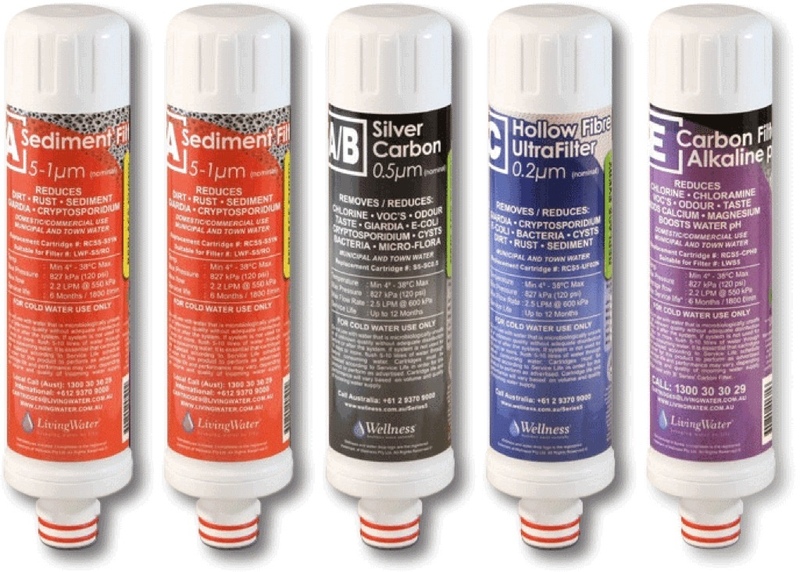 A wide range of cartridge packs enable you to target the contaminants and water pH that suits your needs. The Series 5 uses quality UK made John Guest fittings to ensure ease of installation, service and reliability. The Series 5 is fully upgradeable to the Series 5 UnderSink or PRO Plus so you can upgrade from fluoride reduced to Fluoride Free water at anytime as needs and budget allow. 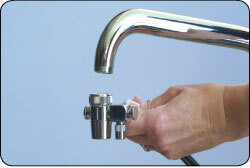 The countertop diverter kit fits all Australian Standard taps and takes just a few minutes to attach. The countertop model can be configured with either a Premium or Elite volcanic mineral booster. 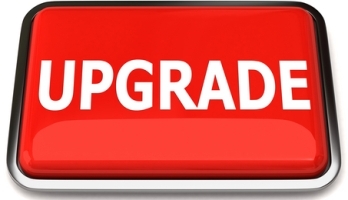 The Premium offers all round flexibility while the Elite is the ideal choice if you want to upgrade to the R/O PRO at a later point in time. The Series 5 is automatically covered for all parts and labour for the first 12 months of ownership and we will repair or replace the unit free of charge (including postage) during this time. After the first year the Series 5 is covered for additional nine-years for parts and labour less postage. We will undertake to repair or replace any faulty part on your filter for as long as you continue to renew your cartridges annually as per the recommended schedule. Unless otherwise stated all cartridges offered are sold and warranted for use with Municipal or Microbiologically safe water only. DO NOT USE ANY FILTER CARTRIDGES WITH WATER OF UNKNOWN QUALITY SUCH AS RIVER, LAKE. TANK OR WATER THAT IS MICROBIOLOGICALLY UNSAFE WITHOUT PRIOR STERILISATION AND/OR DISINFECTION. If using untreated water you must ensure adequate maintenance and/or disinfection of your source water before introduction to filter(s). No Guarantees, whether express or implied, are made and we accept no liability for the operational effectiveness of these units. If you are in doubt as to the safety of your water supply, we recommend consultation with your local water testing laboratory. Cartridges are designed to be replaced after 12-months or whenever rated volume has been exceeded. Cartridge life may be shortened by water containing high levels of dirt or sediment. Poor quality water may cause filter cartridges to block prematurely at anytime. 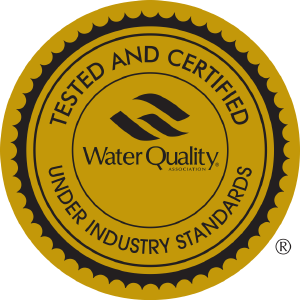 This warranty does not extend to premature blockages and shorter than average cartridge life due to poor water quality. In these circumstances, we recommend the installation of a specialist pre-filters for dirt and sediment or the regular replacement of filters on a shorter cycle. World class filtration technology combined with a scientifically designed volcanic mineral 'energising' cartridge replicates nature's own spring water process. This unique process gently transforms ordinary tap water into a great tasting, healthier, naturally enhanced water. © 2019 Wellness WaterTrademarks and brands are the property of their respective owners.